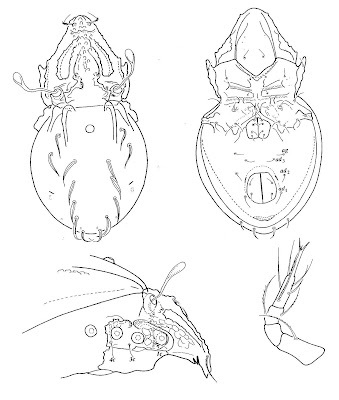 Views of Suctobelbella separata from Mahunka (2001), clockwise from top left: dorsal view, ventral view, palp, podosoma in lateral view. 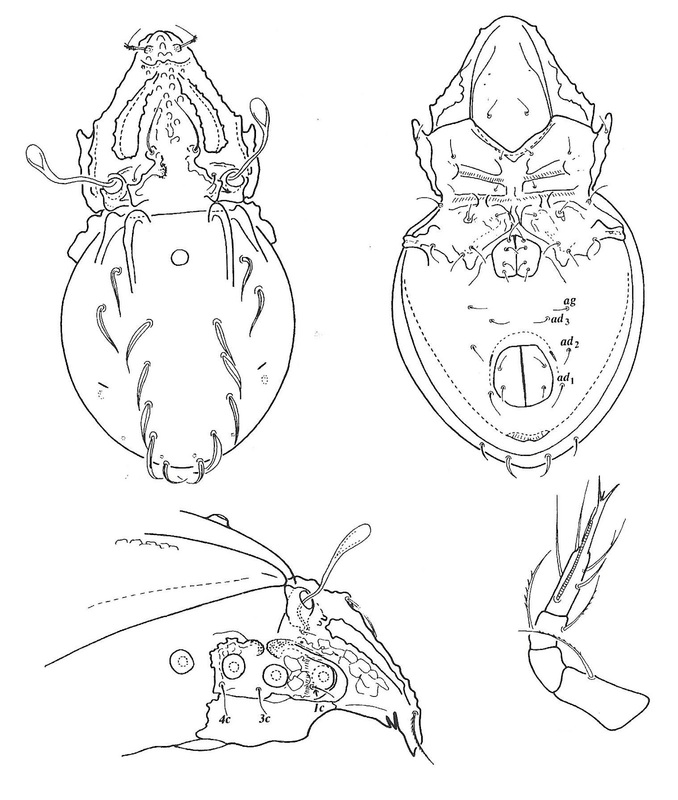 The subgenus Ussuribata of the genus Suctobelbella is a pantropical and subtropical group of suctobelbid oribatid mites with a disk-shaped sensillus. Characters (from Hammer 1979, as Discosuctobelba, and Mahunka 2001, as Bruneibelba): Prodorsum with two or three pairs of lateral rostral teeth present; rostral setae geniculate; tectopedial fields narrow, not always well defined, area between tectopedial fields coarsely reticulate; lamellar knob present, compact or divided into two parts fused with interbothridial crests; sensillus disk-shaped. Anterior margin of notogaster with two pairs of teeth; nine pairs of notogastral setae present, often of different lengths and shapes. Genital plates with four or six pairs of setae. Hammer M. 1979. 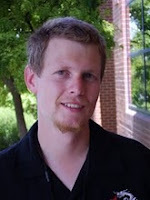 Investigations on the oribatid fauna of Java. Det Kongelige Danske Videnskabernes Selskab Biologiske Skrifter 22 (9): 1–78. [M01] Mahunka, S. 2001. Oribatids from Brunei III (Acari: Oribatida). (Acarologica Genavensia XCI). Revue Suisse de Zoologie 108 (2): 317–349.